Ravangla is located on a ridge between Meanan and Tendong Hill which is one of the popular tourist destination is South Sikkim. It is situated on the Gangtok Gyalsing state highway and at an altitude of 7000 Ft. Ravangla offers unmatched view of the Greater Himalayans Mt. Khangchendzonga, Mt. Pandim, Mt. Sininalcu, Mt. Kabru are just a few of the major peaks that are clearly visible from here. It also offers some short treks like as Mainam Peak at 10600 Ft.
Hotel Meanamla is situated in the heart of the Ravangla. 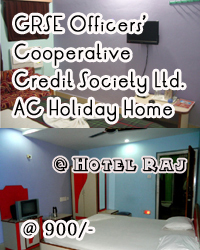 Its consist of 28 well-furnished room with conference hall and multicuisine reataurant. Places interest are as Ralong Monastery, Sandruptse, Temi Tea Garden, Borong Falls, Sharlock Bephu Cave, Char Dham.